Compton Magic guard Dalen Terry has had solid performances in his first three games in the Adidas Gauntlet here at the West Coast Regional. 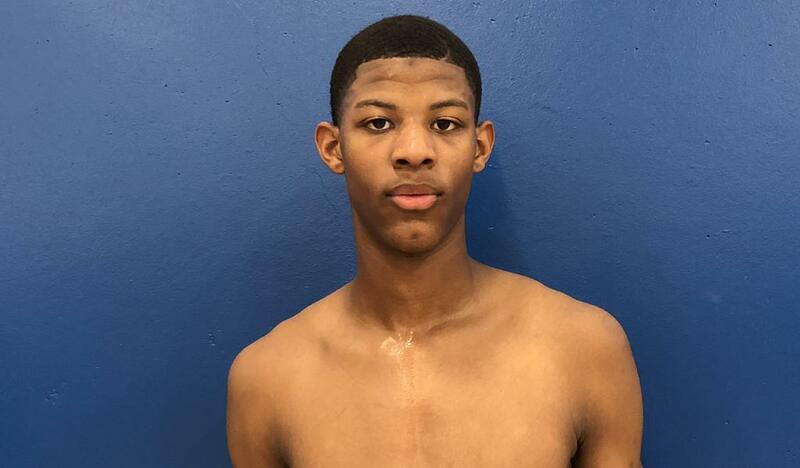 The class of 2020 guard has been on the rise for quite some time now and he doesn’t seem to be slowing down anytime soon. Q: What have you seen from your team in these first three games? Q: Your name has started to take off, what’s it like to see yourself emerge as a prospect? Q: What are people going to realize about your game as this season goes on? Q: You’ve gone on official visits to Cal-Berkeley and Utah. What did you like about the Utah visit? Q: What schools have been recruiting you the hardest? Q: When talking about this team, the first thing that will come to mind is how talented you guys are. What’s something that makes you guys as good as you are that most people don’t get to see? Q: What do you bring to this team? A: “I would say bringing energy and how I compete is what I bring? Q: What goals do you have for this year? Top Performance: 11 point game against Chauncey Billups in a 64-63 loss.